The synopsis (like the query letter), is a deal maker or deal breaker. It can convince an agent that you're the real deal: a skillful writer with a saleable book. Write it well and the agent will read it, then move on to read your sample pages (the goal all along). Write it poorly and they'll take a latte break instead. When I was an acquisitions editor, if a synopsis didn't tell me (immediately) what I needed to know, I'd stop reading and send it to delete-ville. 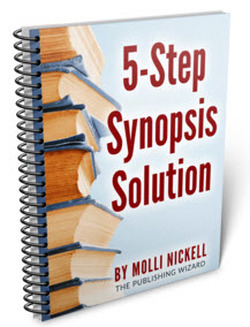 The "5 -Step Synopsis Solution" is an enjoyable read filled with pertinent facts about writing the "dreaded" novel synopsis. The tutorial and template show 'n tells writers how to craft a synopsis that motivates agents to read, and then ask for more.
. . . from Miriam Goodspeed, author of "Mirrors Within Mirrors." Structure your synopsis according to the latest industry standards. Use what you've written in your query to form the core of your synopsis. Introduce five vital story elements in your synopsis first paragraph. “Hook” and maintain agent interest. Decide when you can break the rules about what goes where. Using the synopsis (and query) techniques Molli teaches, I took the direct approach and pitched my manuscripts and signed contracts with two publishers (one for poetry and another for novels) whom I'd met at a writers' conference. Five tips to help you prove you're a skilled writer with a salable manuscript. Three vital issues that “hook” and “maintain” agent interest. Two reasons agents require the synopsis be included inside the query letter email. One five (5) paragraph synopsis template shows you exactly what to put where and why. If you're not quite sure the tutorial can help you learn to write a synopsis. . . find out! 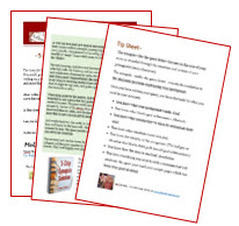 Order my "5-Step Synopsis Template 'n Tip Sheet." Excerpted from the full tutorial, this template costs less than a cheese burger and Pepsi and expands your mind, not your waistline. I invite you to tap into the knowledge I've accumulated during my 30+ years in the publishing biz. I've authored books and articles, acquired and edited manuscripts, designed projects, presented keynotes, and led workshops for the giants in the industry including . . .